GRASSI Museum for Applied Arts Leipzig (DE), 18.4.–29.9.2019, opening event 17.4.2019, 6 p.m.
On the occasion of the Bauhaus anniversary, the GRASSI Museum for Applied Arts Leipzig presents for the first time an overview of the work of Bauhaus artists in Saxony. 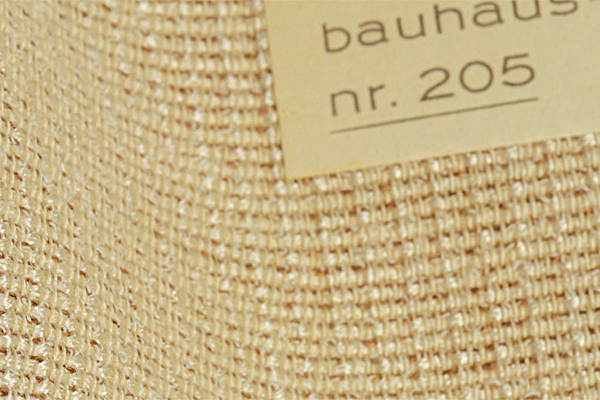 100 years ago, Saxony was already a center of the furniture and textile industry, which played an important role in the serial production and dissemination of important Bauhaus designs. 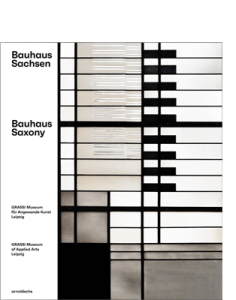 The GRASSI Museum itself plays a special role in the Bauhaus movement in Saxony with the windows developed by Josef Albers and the in-house GRASSI fairs, which have provided an important forum for the exhibition of Bauhaus products since 1919. The exhibition at the GRASSI Museum for Applied Arts in Leipzig follows in detail the traces that the Bauhaus builders left behind in Saxony and the products that could be manufactured through the innovative power of the Saxon industry of the time. With numerous originals: works of art, furniture, fabrics, lamps, silverware and ceramics, the GRASSI Museum once again shows the manifold manifestations of the Bauhaus. Of course, GRASSI does not ignore the Bauhaus masters, from Wassily Kandinsky to László Moholy-Nagy, Paul Klee to Josef Albers, but it also focuses on artists born or working in Saxony, including Marianne Brandt, Otti Berger, Grete Reichardt, Hajo Rose and Franz Ehrlich. But the special exhibition also includes contemporary artists with their reflections on the Bauhaus anniversary: artist Judith Raum dedicates an installation to a repressed chapter of the Saxon textile industry. Textile designer Katharina Jebsen had several Bauhaus materials rewoven for this purpose. 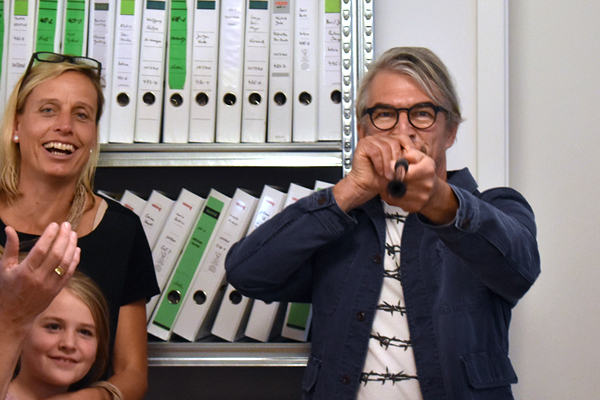 Martin Furtwängler presents the announced but never published second Bauhaus graphic folder. Oskar Rink dedicates his work to the continuation of Bauhaus pictorial spaces, to name but a few. A comprehensive publication comprising 85 contributions by 50 authors on 22 locations in Saxony appeared in our program to accompany the exhibiton. 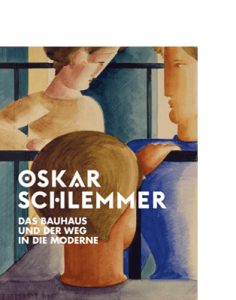 Oskar Schlemmer – Das Bauhaus und der Weg in die Moderne, Stiftung Schloss Friedenstein, Gotha (DE), 28.4.–28.7.2019, opening event: 27.4.2019, 2 p.m. 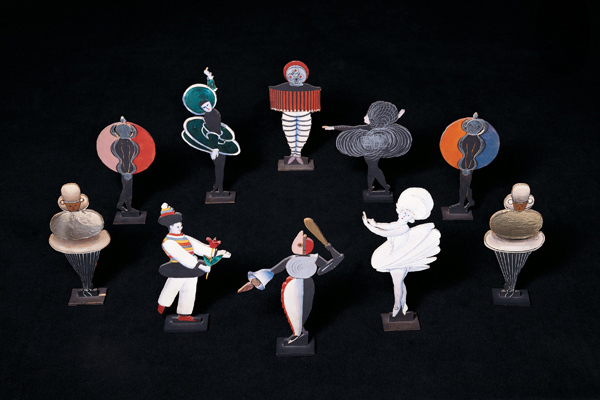 The universal artist Oskar Schlemmer represents the claim to overall design of modernity like no other. The painter, graphic artist, stage designer, sculptor and choreographer combines these different forms of expression in order to develop a humanistic vision of the future in which people find a harmonious unity with society changed by technical innovations. The Stiftung Schloss Friedenstein Gotha now presents the first solo exhibition on Oskar Schlemmer in Eastern Germany. Supplementary works by László Moholy-Nagy, Andor Weininger and Wassily Kandinsky impressively demonstrate the artistic horizon of the time. You are invited to discover Oskar Schlemmer’s imaginative power and immerse yourself in the Bauhaus movement in his company. The Gotha show focuses in particular on Schlemmer’s work of the 1920s and 1930s, his time at the Weimar and Dessau Bauhaus. Schlemmer’s theme of a repositioning of humankind in a society that is transforming itself and is conditioned by technological developments is almost topical: in the age of algorithms, artificial intelligence, and synthetic biology, we have to face these questions anew. The publication Oskar Schlemmer. Das Bauhaus und der Weg in die Moderne will appear in our program just in time for the opening of the exhibition. The travelling exhibition Gerhard Munthe –Fairytale Interiors of the Norwegian National Museum has embarked on its journey: The first stop will be the Romsdalsmuseet in Molde until May 19, 2019. One of the most famous works by the Norwegian artist Gerhard Munthe is the Fairytale Room in the Holmenkollen Turisthotell. It is probably Norway’s first complete work of art. 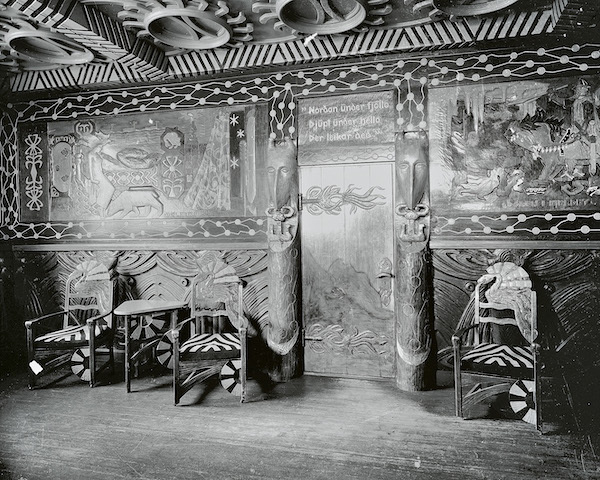 Gerhard Munthe developed a comprehensive design from the wall frescoes to the door and window frames and the furniture. In 1896 he made the first drawings, which the wood carver John Borgersen then put into practice. Unfortunately, the hotel, which had been traditionally built of wood, was completely burnt down in 1914 and only a few pieces of furniture and early photographs could be saved. 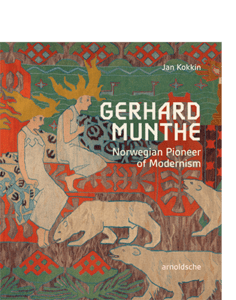 A comprehensive overview of Gerhard Munthe’s life and work can be found in Jan Kokkin’s publication, which appeared in 2018 at Arnoldsche. 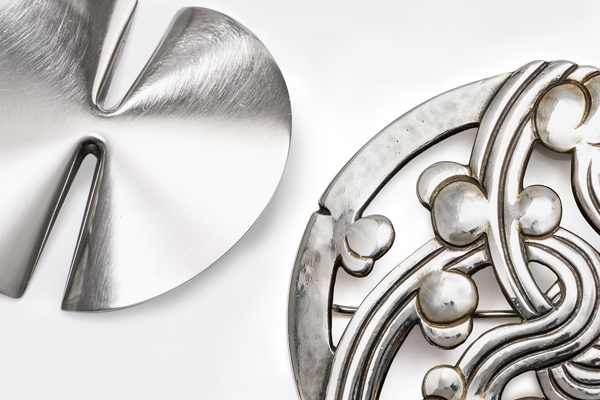 In 2019, Die Neue Sammlung – The Design Museum invited Karen Pontoppidan (born 1968), the renowned Danish jewelry artist and Professor of the Jewelry and Hollowware Class at Akademie der Bildenden Künste München, to curate the annual jewelry exhibition at Pinakothek der Moderne. 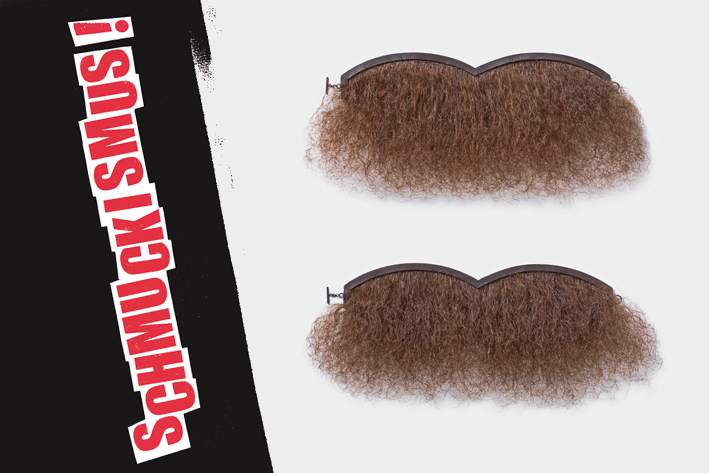 You may find more infomation on the accompanying publication Schmuckismus here on our website. 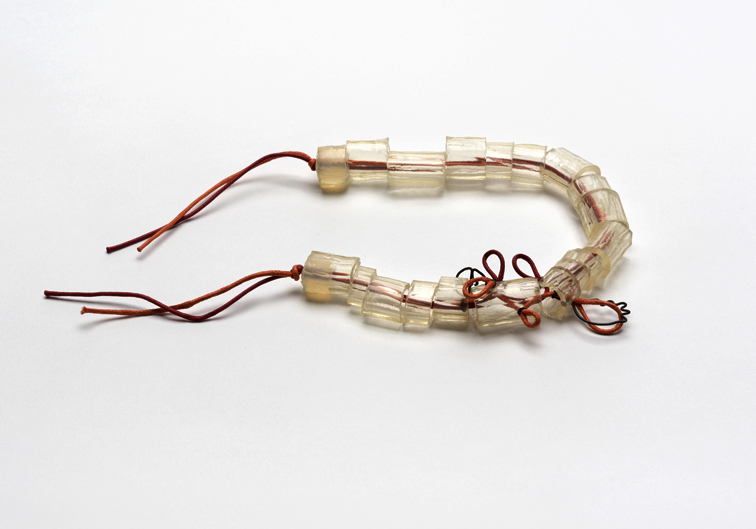 Beginning with jewellery and its proverbial timelessness, Gisbert Stach experiments with processes of transformation, transience and revaluation: pieces of jewellery are worked into asphalt, dissolved in acid or used as targets in knife-throwing performances. Ground amber serves as a pigment to give brooches the deceptively real look of schnitzels. In his twenty-five years of working as a silver- and goldsmith, Gisbert Stach expanded the notion of jewellery to include other media such as photography, video and performance. 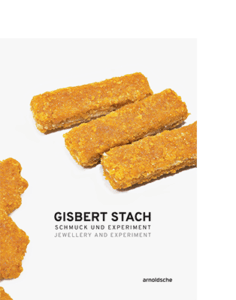 The publication on Gisbert Stach’s amazing work already appeared in our programme. The Galerie Stadt Sindelfingen cordially invites you on Sunday, 24.02.2019 at 16:00 to the current exhibition #Material4.0 at the Galerie Stadt Sindelfingen for the launch of the publication that accompanies the exhibition. 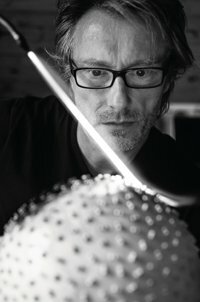 We are delighted that the artists Manfred Mohr, who will be coming from New York, and Florian Model will also be present. Both artists are represented in the exhibition and Manfred Mohr also contributed a text to the publication. 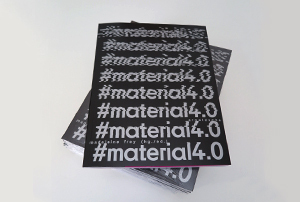 The publication #material4.0 documents and expands the exhibition at the Galerie Stadt Sindelfingen with text contributions. The title reflects the interaction between the virtual world and physical-real space. Based on the omnipresent concept of industry 4.0, the exhibition examines how computer-induced automation and digitization are reflected in the art context. How does art production change from real and analog production to a virtual environment? How is this kind of material handled, how is it used to place artistic ideas and questions? A total of 13 artists, mainly from the generation of digital natives, have been invited to participate, complemented by historical positions by pioneers of digital art. A glass of champagne will be served as a welcome drink. Vernissage, Sunday, 10 February 2019, 11.30 a.m. 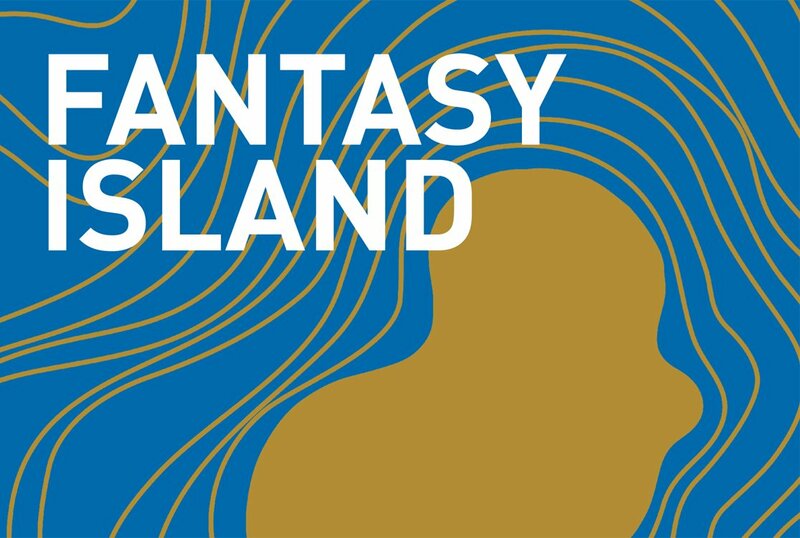 The Swiss Ceramics Association presents the juried art exhibition Fantasy Island. 44 ceramic artists from the different regions of Switzerland will show their new work, made exclusively for this exhibition. The theme Fantasy Island was chosen because the Kunst(Zeug)Haus has a vast and unique collection of “Robinson Crusoe” texts. Daniel Defoe’s novel, which is considered to be the very first adventure book, celebrates the 300th anniversary of its publication in 2019. In addition to the juried works, a selection of student work from the School of Visual Arts Bern/Biel, L’Ecole Supérieure d’Arts Appliquées de Vevey and L’Ecole d’Arts Appliqués de Genève will be on display. Arnoldsche publisher Dirk Allgaier was a member of the jury.